An avid science fiction enthusiast, she pursued this question in high school by working in a molecular biology laboratory at Purdue University, initially examining bacterial adaptations to osmotic stress in kidney cells. This experience emboldened her to contact a number of science faculty members when she entered IU as a freshman, including Gill Chair Ken Mackie. Although his student research positions were filled, Mackie hired Farnsworth as a laboratory technician that year. She went on to serve in several student researcher roles, learning techniques and methods of molecular biology, behavioral observation, and electrophysiology from Mackie, research scientist Alex Straiker, and lab manager Jim Wager-Miller. In addition to developing technical skills, she says, her time in the Mackie Lab taught her how to rigorously pursue scientific problems. Jill Farnsworth, former student in the Mackie Lab. “Ken and Jim are two really great examples of problem solvers. They taught me how to optimize my problem-solving through cost-benefit analysis, by constantly asking questions in this interactive way,” she says. Farnsworth’s experience in the lab was so valuable that she elected to stay a fifth year at IU to complete an honors thesis examining variation in the expression of the endocannabinoid receptor CB1. 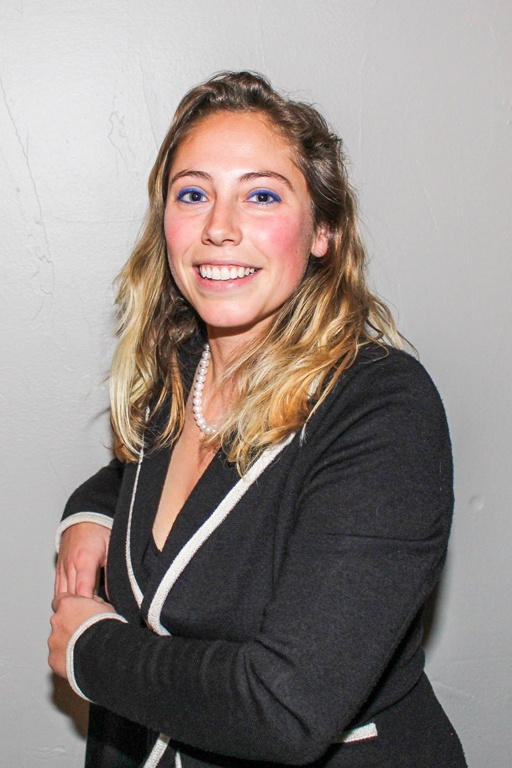 Both that project and earlier research on the influence of endocannabinoids on ethanol addiction led to publications in scientific journals, which helped her secure a position as a PhD candidate in the Center for Structural and Functional Neuroscience at the University of Montana. Now at Montana investigating molecular and biophysical mechanisms involved with learning and memory, Farnsworth credits her early start in the Mackie lab with preparing her for the rigors of graduate school.